Home Business4Law Law Firm Marketing 101 Why should a law firm use a CRM system? Any business, looking to grow and nurture their client base must use a Customer Relationship Management system – FACT. 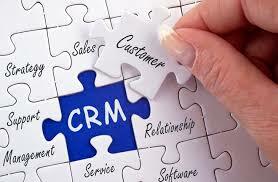 A law firm is a business, even if it is a professional services business, it too must have a CRM system. Many of the practice management systems offer a built-in CRM system, and there is absolutely nothing wrong with using a system like that, in fact it has an advantage over external CRM systems, as the client base and all their details are already captured in the system, and any record changing will obviously update the accounting and visa versa. In addition to the practice management solutions, there are several systems available, and prices range from gazillions or Ronts to free – it really depends on what your needs are, what systems you want it to link to and how intuitive/intelligent you want the system to be. Some integrate straight into your email client like MS Outlook, others ask you to send a copy email to a certain email address and then the CRM will attach the email to the contact. Have a read through this article by Cara Wood – The 10 Best Free and Open Source CRM Software Solutions – to get an idea on what freemium CRM system are available. All CRM system are sharable being available online or on a shared network fileserver, which means that anybody with access can use and add to the system. The alternative is something like a spreadsheet and you can imagine after a few months how many versions of the spreadsheet you will end up with and how many walked out the door. Having the latest information about a contact is vitally important when making contact with a client, they expect anybody from your firm to know what the latest interaction with them is about or was about, otherwise they feel unimportant. We all know that office systems have calendars and it is easy enough to add reminders there, but it is most often forgotten or falls through the cracks. The CRM system has automated reminders, that remind you when tasks are due. The success I think is that when you click on the task, all the information about that task is all in front of you, so you tend to deal with it, in an office system you most often have to find the information and then get started. Also, when you are in contact with the contact ;-), the adding/management of the task is right in front of you – it works. Adding a new contact is quick and easy, and because of that it encourages people to enter new leads, even if they don’t have all the information. Once it is in the system, it encourages information to be completed. Use the CRM system to help manage your marketing campaign, keep the status of the sales process up to date and then analyse the effectiveness of the campaign by running reports. You can use the CRM system to send emails, or launch an email client and then send the email, both of which will store a record of the email, so that all using the CRM system will be aware of the correspondence. It also could allow you to send bulk emails to segmented groups in the system. Take all the above benefits and wrapped up in one, provide for a better experience for your clients. Just about all the online CRM systems offer a free license, find them online, register and start using one. The way it encourages you to stay in contact with your clients and or prospects will impress you straight away. Another aspect is that they are really easy to use.